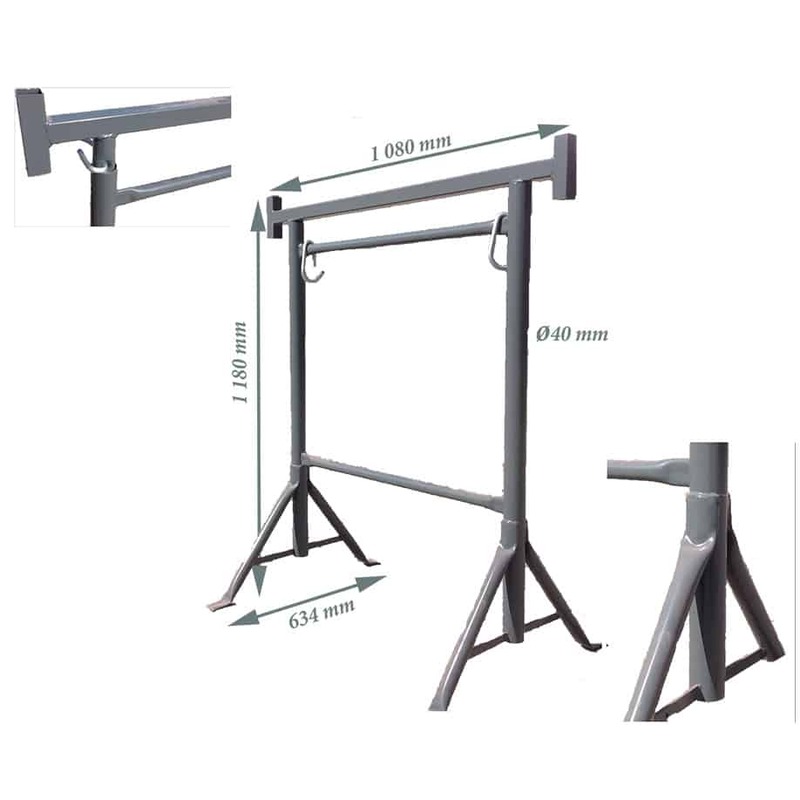 Picture with trestle dimensions choice. 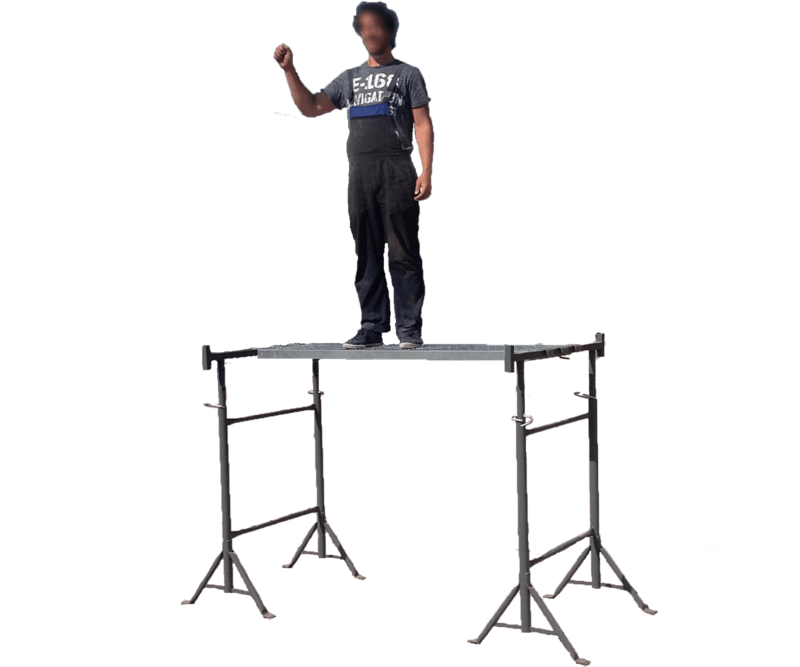 For what type of users is suitable the trestle with fixed legs? 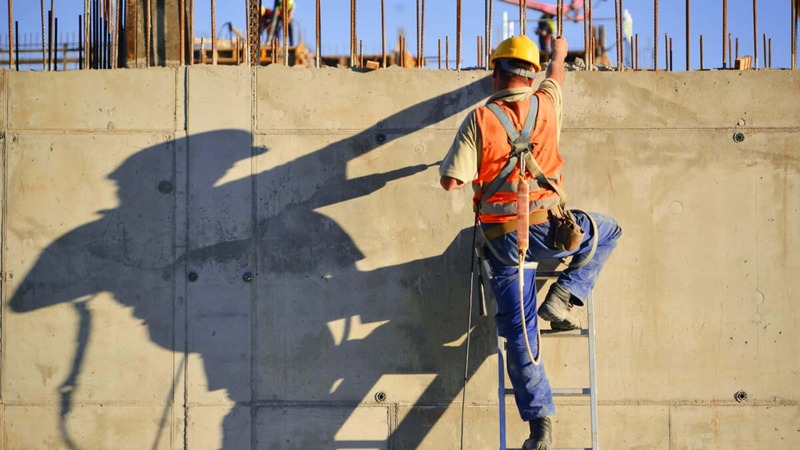 Suitable for any construction team that is performing short-term repair. 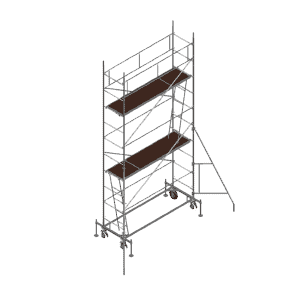 Especially useful for narrow space where big scaffolding would not fit. From what is the trestle with fixed legs made of? Two clamps with which the height is fixed. The product is powder coated, which ensures the coating’s durability under normal use. It is stable and extremely durable. The trestle has with big load capacity. You can assemble it quickly and no tools are required. Excellent mobility – due to its size without problem it passes through the doors. 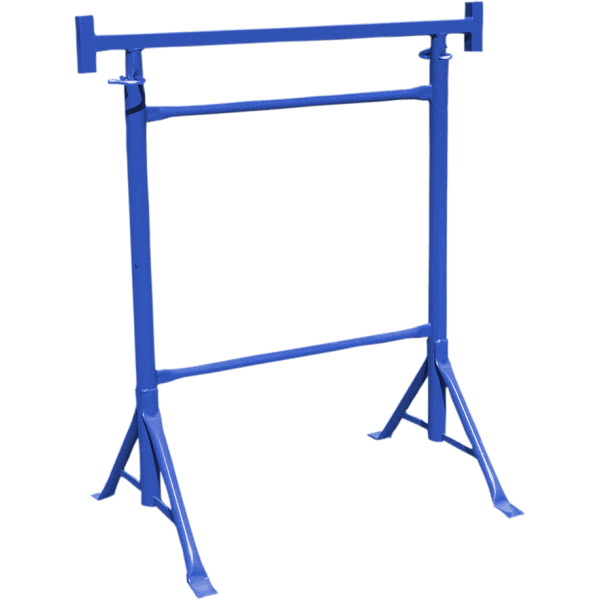 With the help of the clamps you can quickly adjust the trestle to the required height. This allows precise adjustments according to the required height thanks to the fixing сholes which are close to one another. Maximum working height of 3 to 5 meters. 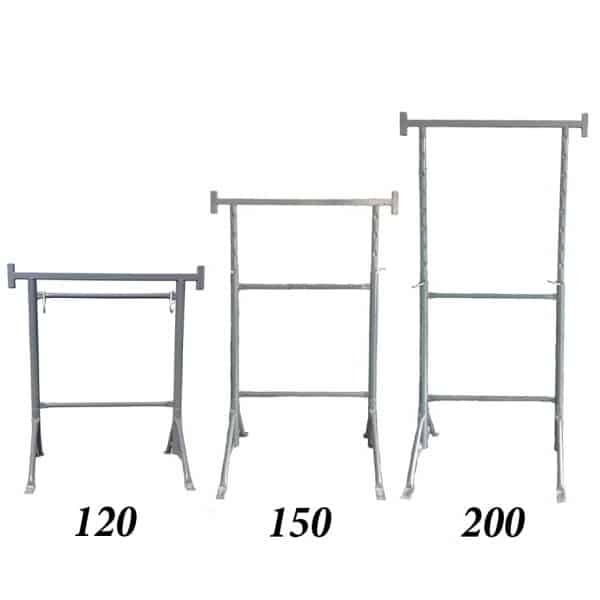 We also offer lightweight aluminum walkboard for a full set of home scaffolding. It is the easiest and cheapest option to do home repairs without having to stretch a whole scaffolding. For use by professional building teams that carry out repairs and construction activities. 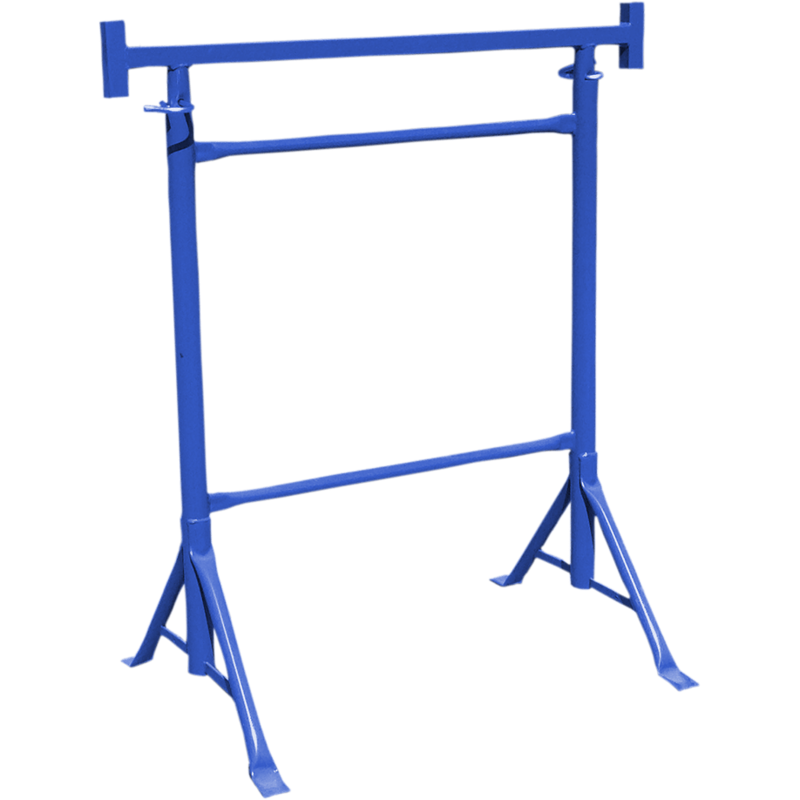 We at DJODI Trade Ltd. recommend that the trestle should be used as intended without any personal modification which can threaten the personnel safety! The most suitable storage site for the mobile platform is in a dry closed storage room like warehouse, garage, workshop, closet, etc. We recommend to be protected from adverse weather and moisture due to the risk of corrosion. 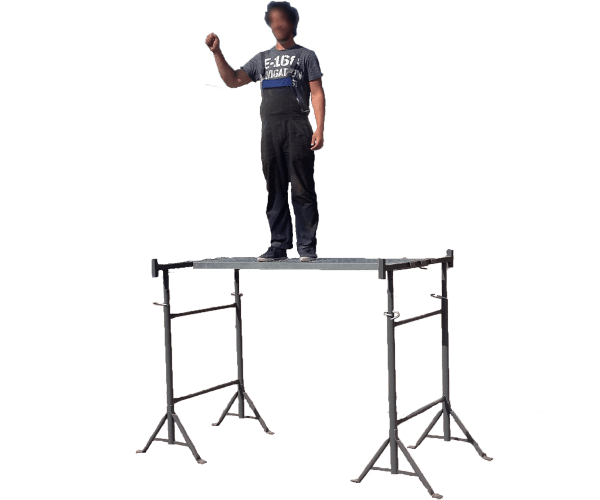 Why should I buy a trestle with fixed legs? The trestle is necessary to ensure safe work in construction and repair work. This facility is practical in all kind of repairs, both indoors and outdoors. 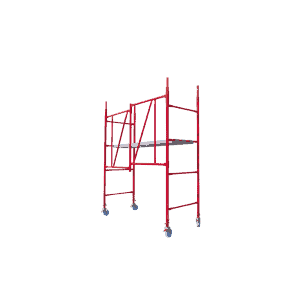 This product eliminates the need to use a ladder. The product has a factory warranty by receiving. DJODI Trade have all the spare parts required for the product as well as any additional products such as aluminium walkboards. Djodi Trade Ltd advises: Please take care for your facade scaffolding to use it for a long time! Extremely handy product in need of home repairs. 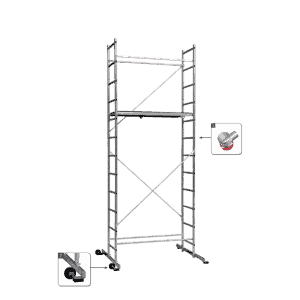 It is very comfortable if you have to perform several activities on high walls or ceilings. The height can be adjusted to the height of the room.